In contemporary America, the phrase "Koch brothers" has divisive political implications, but in nineteenth-century Germany, the same label brought to mind glamorous, glittering royal jewels. Robert and Louis Koch founded their jewelry house in Frankfurt in 1879, and within a few short years, they were supplying jewels to the major royal and princely courts of Germany, as well as to foreign monarchs in Russia and Italy. Robert and Louis worked with the firm until their deaths in 1902 and 1930, and their descendants ran the company until World War II. Under different ownership, the firm closed for good in 1987. But the beautiful tiaras created by the brothers for European royals are still regularly worn today, a testament to the skill and endurance of their craftsmanship. Here's a look four of my favorites! This petite kokoshnik style tiara incorporates a number of fashionable turn of the century motifs in its compact design, including Greek key and laurel-leaf borders. Its centerpiece, however, is the large pear-shaped diamond mounted en tremblant so that it sparkles and shimmers as the wearer moves. Made by Koch in 1913, the tiara was a wedding gift from Kaiser Wilhelm II and Kaiserin Augusta Viktoria of Germany to their daughter, Princess Viktoria Luise, who married the Duke of Brunswick. 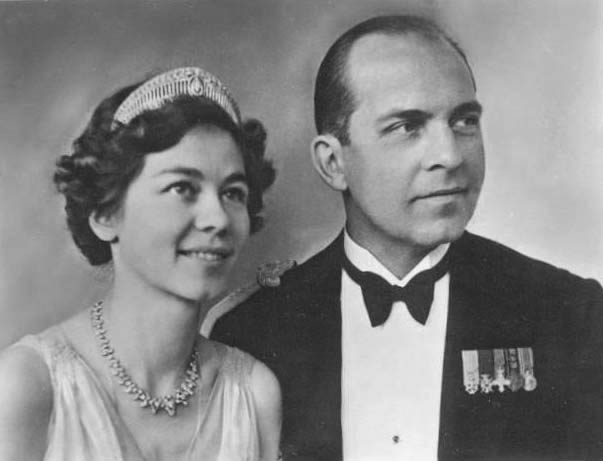 She gave the tiara to her own daughter, who became Queen Friederike of the Hellenes; in turn, she gifted the tiara to her elder daughter, who became Queen Sofia of Spain. Both Sofia and her daughter-in-law, Letizia, have worn the piece as a bridal diadem, meaning that the tiara created for a German princess is now something of an unofficial wedding tiara for the royal family of Spain. Another Koch wedding gift commission, this minimalistic but dazzling diamond fringe tiara was created in 1905 for Richard, 4th Prince of Sayn-Wittgenstein-Berleburg, who gave it to his new bride, Princess Madeleine of Löwenstein-Wertheim-Freudenberg. The tiara is essentially a two-for-one deal; it easily converts to be worn as a diamond fringe necklace. Madeleine kept the tiara until her death in 1976, retaining it through both world wars and the family's loss of their legal title. She bequeathed it to her grandson, Prince Richard, and his wife, Princess Benedikte of Denmark, wears the piece regularly at royal occasions in her home country today. Although Benedikte often shares her jewels with her two daughters and her son's partner, Carina, this one has so far been reserved for her use alone. Benedikte isn't the only Danish royal who wears a Koch tiara. Her elder sister, Queen Margrethe, regularly dons this lovely diamond sparkler, which features palmette motifs that join to resemble romantic hearts. It's an earlier piece from the jeweler, reportedly made for Princess Luise of Prussia, the wife of Grand Duke Friedrich of Baden. The tiara went with their daughter, Victoria, when she married King Gustav V of Sweden in 1881. She bequeathed it to her granddaughter, Ingrid, who married King Frederik IX of Denmark. It's now owned and worn by Ingrid's daughter, Margrethe. The tiara is small, so it's easily nestled into her hair; the size and comfort factors, plus the "heart" design, are surely reasons why Margrethe regularly wears this tiara at royal weddings. 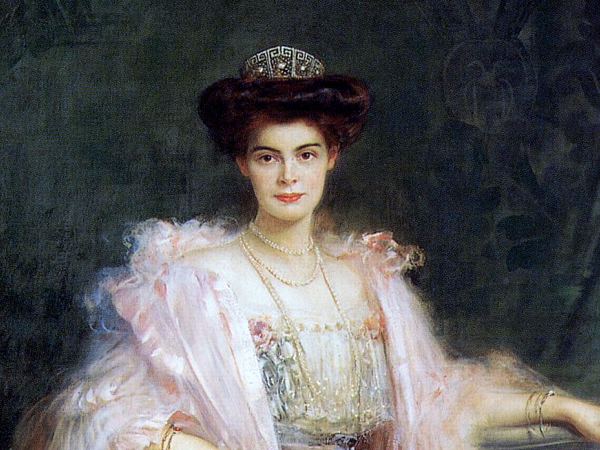 One of my favorite Koch tiaras is the elegant, glittering diamond kokoshnik made by the firm in 1905. 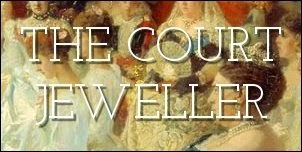 It was a commission from Crown Prince Wilhelm of Germany, who gave it to his new wife, Cecilie of Mecklenburg-Schwerin. The tiara is shaped like a traditional Russian kokoshnik headdress, with Greek key designs bordering delicate lattice webs of diamonds. The lovely tiara is still owned by the former German imperial family today, and it's been worn at three generations of their weddings. Grand Duchess Kira Kirillovna of Russia wore it to marry Prince Louis Ferdinand in 1938; Princess Marie-Cécile wore it at her wedding to Duke Friedrich August of Oldenburg in 1965; and in 2011, Princess Sophie of Isenburg wore the sparkler at the reception following her wedding to Prince Georg Friedrich.